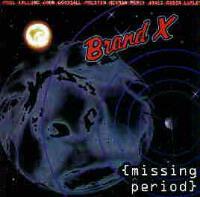 Associated with the prog musical style both because of their imaginative and virtuosic fusion approach to music and the sometime presence of Genesis man Phil Collins, Brand X have always been a great largely unknown musical treasure. This CD is the first official release of material predating their debut disc. This lost disc of instrumental wonderment is definitely a treasured find for fans of the band. The musicians on this CD are Phil Collins, John Goodsall, Preston Heyman, Percy Jones and Robin Lumley. This cut starts as a bluesy rock sort of piece. It quickly changes to fusion textures, and moves through a number of different styles and modes. It becomes more prog rock oriented for the guitar solo segment, which is quite cool. It becomes a bit Zappaish at times, and moves into more rock modes and includes a killer percussion break. This next cut is more straightforward prog in many ways, and touches on the music of such artists as Genesis and Al Dimeola. 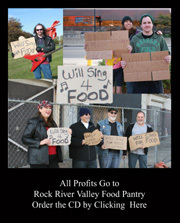 It also includes a few bits of Steve Howeish material and some other great flavored guitar work. The piece does, however, touch on the fusionish approach of the first track as well. In fact there is an entire segment based on a funky bass riff that really emphasizes this angle of the music. The composition also gets a bit dissonant at times. This is a killer track. This one starts with percussion and has very cool funky sort of jazz texture. It includes a great segment with strong classic prog textures. It moves into a frantic, slightly dissonant jam, that then gives way to a fast paced prog section that really rocks. This one covers a lot of musical ground as it winds its way through its length, moving from fusion to prog and back and forth from there. Why Won’t You Lend Me Yours? Caribbean percussion starts this one and it begins building in fusionish textures from there. This one gets a bit off kilter and has some unique timing modes. Frantic riffing begins this cut, but only for a moment, then a nice fusion groove takes the piece to its next segment. The cut builds in this mode, grooving along quite nicely, and dropping back to slower modes from time to time. It drops to a more sparsely arranged section for a short time. Then the buildup that follows has a great musical texture to it. The cut later drops to strictly percussion for a time, then begins redefining itself by climbing out of the depths to which it has fallen. As the buildup continues, some wonderful jazz oriented textures ensue, a bit in the mode of Al Dimeola, but also calling to mind George Benson as well. This is a great fusion jam. Another fairly fast paced fusion jam, this one is quite solid and has more classic fusion textures. This one does quite a bit of stylistic wandering, although it is all really quite linear. This one has a very organic sort of structural style and is quite strong. Some of the guitar work on this one is rather Zappaish, and definitely smokes.